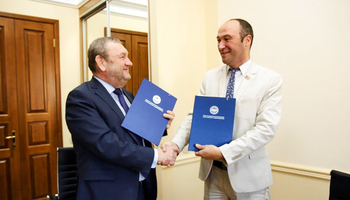 Establishment of the first Siberian research and education center TUSUR–Keysight Tehnologies was one of the provisions of the memorandum of cooperation signed between TUSUR University and the US-based Keysight Teсhnologies (formerly Agilent Teсhnologies). The document was signed in November as part of the visit of Keysight Teсhnologies representatives to our University. The parties have agreed to form strategic partnership in joint research and education programs in radioelectronics and telecommunications. 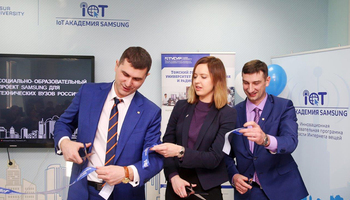 “Our company is developing its cooperation with Russia’s leading universities, allowing students access to state-of-the-art measuring technologies and equipment”, says General Director of the Russian office of Keysight Technologies Galina Smirnova. “One of the main goals for me as an executive of the Russian office is to make these cooperation programs work. 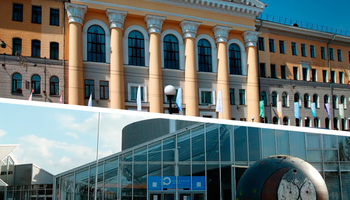 We have ambitious plans for our cooperation with TUSUR University. I hope that our cooperation will bloom. Within the framework of the memorandum and starting this academic year, TUSUR offers a Master program in design automation of microwave micro- and nanoelectronic devices for radio engineering systems, developed in accordance with the certification requirements of Keysight Teсhnologies. Students who complete this program will be included in the company’s international database of certified engineers. Moreover, solutions of Keysight Technologies will be used in the new TUSUR—Keysight Technologies Research and Education Center. The REC will be opened early in 2015 and will allow students to learn about the international practices in HF microwave devices design and gain experience with CAD tools. Apart from the new Master program, the REC will also offer retraining programs for industrial enterprises. 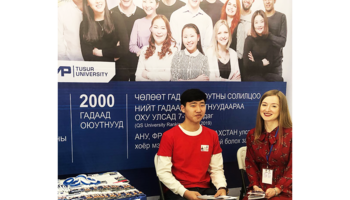 TUSUR University already uses the solutions of Keysight Technologies in the research conducted by the Nanotechnology Center.